All poets Soudal joint sealant is a universal, single-component and solvent-based joint sealant for many problem cases Bauwesen.Soudal All poets joint sealant for joint sealing with max. 20% total movement between the different materials, sealing of roofs with bitumen or plastic sheets, chimney connectors, connection profiles in the roof and walls and repairing leaking gutters and downpipes are just some examples of its use. All poets Soudal joint sealant is crystal clear transparent, UV-and weather-resistant, water resistant immediately (liable even under water) caused no Kupferkorrision liable on bitumen, is paintable and excellent resistance to mold growth. Very good primer adhesion to many materials, even under water and bitumen. Method: By Hand Press squirt gun, air gun or caulking gun. Smoothing: Smoothing and Abziehspachtel before skinning. 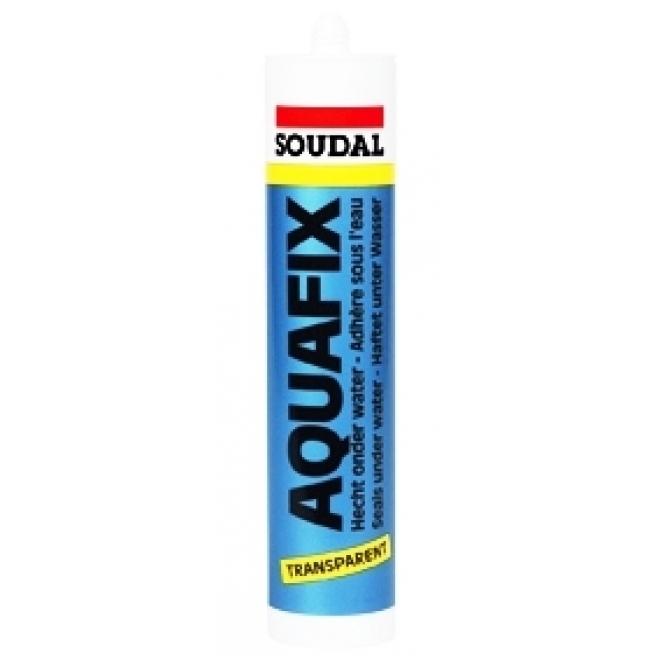 All poets Soudal joint sealant adheres to all common Bauuntergründe, such as Glass, wood, concrete, aerated concrete, bitumen, brass, copper, plaster, tiles, roof tiles, polyester, ceramics, roofing, etc. Surfaces must be clean, free of dust and grease, but may be moist. No pretreatment is necessary. It is advisable to first carry out any surface an adhesion and compatibility testing with Soudal All poets joint sealant. 12 months from production date in unopened packaging in a cool (+5 ° C to +25 º C) and dry storage. Opened container tightly closed and short-term use.